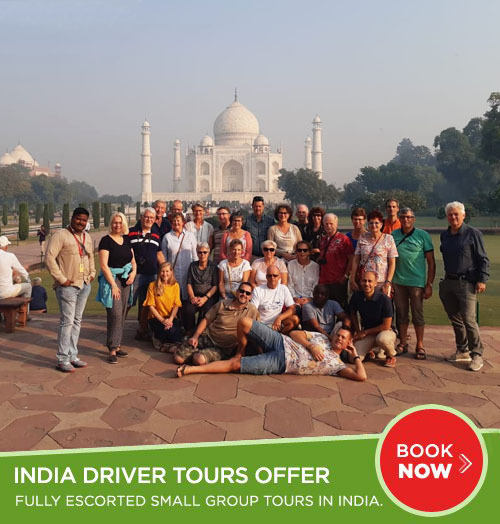 Golden Triangle Tour with Haridwar and Rishikesh takes you to the Historical cities of Delhi, Jaipur and Agra besides the Spiritual cities of Haridwar and Rishikesh. After breakfast at hotel, check out and drive to Jaipur. On arrival check into the hotel. Evening free at your leisure to explore the pink city bazaars. Overnight stay at the hotel. After breakfast drive to Agra. Enroute visit Fatehpur Sikri. 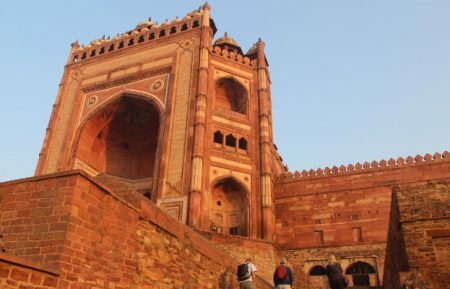 Fatehpur Sikri (Abandoned city). Fatehpur Sikri is 40 kms from Agra and built by Emperor Akbar in 1569 and abandoned after 15 years due to scarcity of water. See the graceful buildings including the Jama Masjid, Tomb of Salim Chisti, Panch Mahal and other Palaces. Proceed to Agra. On arrival visit Agra Fort containing the Pearl Mosque, the Halls of Public and Private Audience. Later check into the hotel. Overnight stay at the hotel. 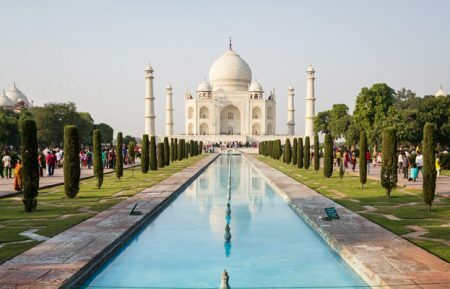 Early morning visit the world famous Taj Mahal (Closed on Fridays) built by the Moghul Emperor Shahjehan in 1630 for his Queen Mumtaz Mahal to enshrine her mortal remains. Also visit the Tomb of Itmad-ud-Daullah built by Empress Noorjehan in memory of her father. Thereafter drive to Delhi. On arrival check into the hotel. Overnight stay at the hotel. Early morning drive to Haridwar. On arrival you would be received by our tour representative who would drive you to the Rishikesh. On arrival check into the hotel. Later visit Triveni Ghat - A sacred bathing spot on the banks of the river Ganga where devotees take holy dips and offer prayers. 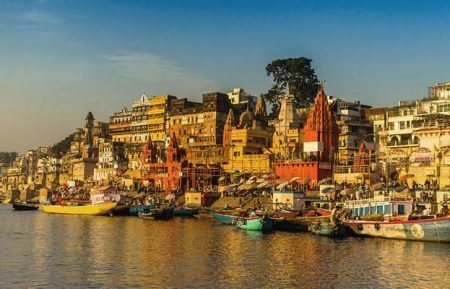 Triveni Ghat is believed to be the confluence of the Ganga, the Yamuna and the legendary Saraswati river. Laxman Jhula - A suspension bridge across Ganga situated 5 km from Rishikesh, on the way to Badrinath. Originally, there was a hanging jute (rope) bridge till 1889. This was rebuilt with iron ropes. It is believed that Ram's brother Lakshman crossed the river here on a jute rope. 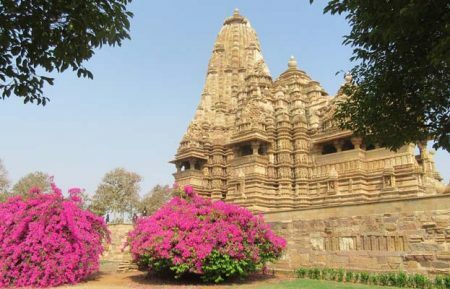 On the west bank, there is a Laxman temple also. Visit Parmarth Niketan Ashram - is a true spiritual haven, lying on the holy banks of Mother Ganga in the lap of the lush Himalayas. 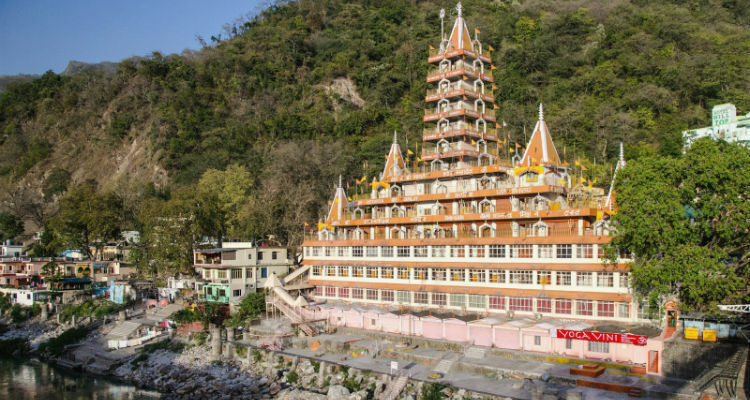 It is the largest ashram in Rishikesh, providing its thousands of pilgrims who come from all corners of the Earth with a clean, pure and sacred atmosphere as well as abundant, beautiful gardens. Evening enjoy Ganga Arti. Overnight stay at the hotel. After breakfast enjoy the rafting on Ganges (Not applicable from July - September). Experience the rapids on Ganges. Evening free at your leisure. Overnight stay at the hotel. After breakfast drive to Haridwar. Visit Har-ki-Pauri and various Ghats & temples like Dakasha Temple, Pawan Dham Temple, and If time permits Mansa Devi temple. For this temple you will have to take a rope-way (You may pay for this ride). Later in the evening, you will drive you back to Delhi. On arrival you will be transferred to the hotel. Overnight stay at the hotel. After breakfast you will be dropped at the airport for onward journey to go back home. 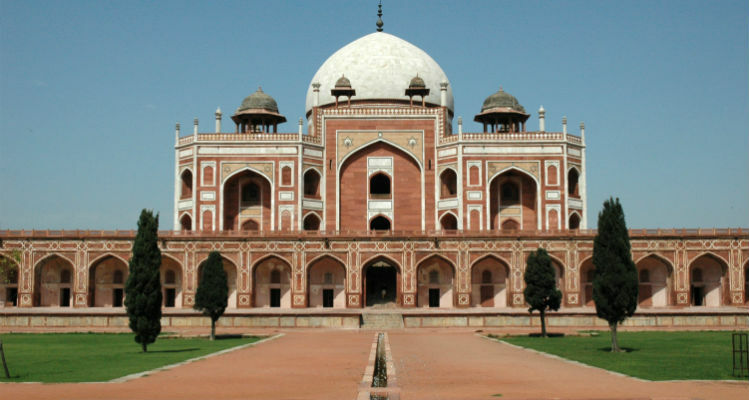 Sightseeing tour of Delhi, visit to Red Fort, Jama Masjid, Raj Ghat, Humayun's Tomb, Lotus Temple, Qutb Minar, India Gate, President House and Birla temple. 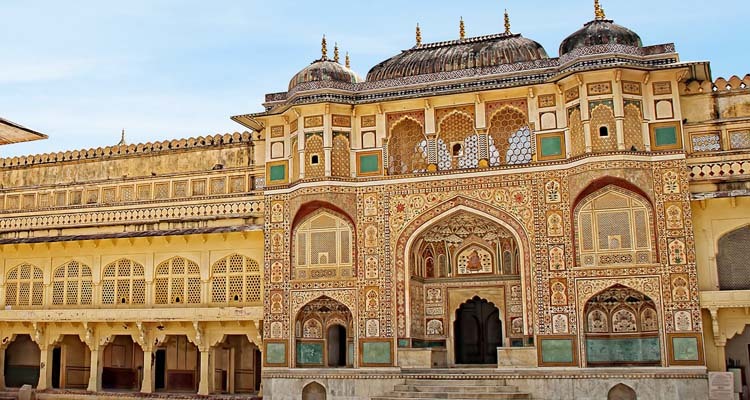 Excursion tour of Amber Fort, City Palace, Jantar Mantar, Hawa Mahal and other attractions in Jaipur. 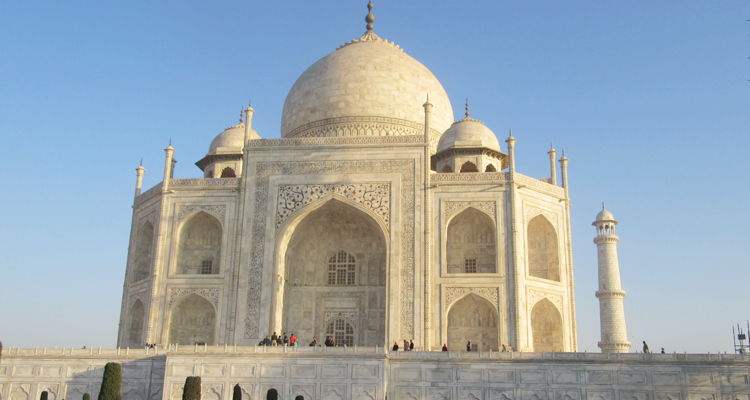 Sightseeing tour of beautiful Taj Mahal, Itmad-ud-Daula Tomb – Agra. Visit to major tourist attractions like Triveni Ghat, Bharat Mandir, Ram Jhula, Laxman Jhula, Swarg Ashram, Parmarth Niketan and many more. Enjoy river rafting in Rishikesh through many different rapids of various grades. 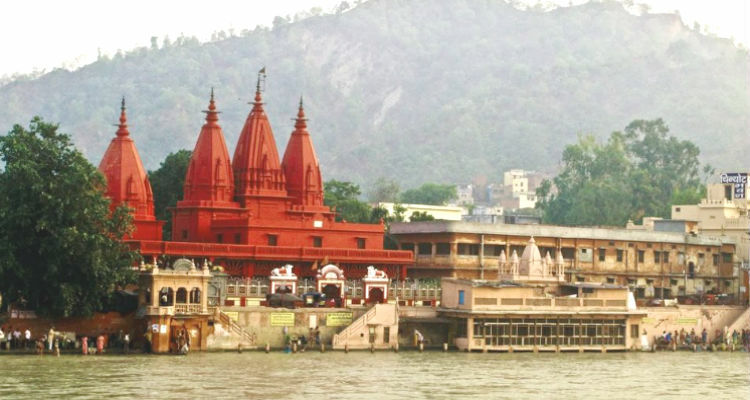 Visit to major tourist attractions in Haridwar like Har-ki-Pauri and various Ghats and temples like Dakasha Temple, Pawan Dham Temple, Mansa Devi temple.